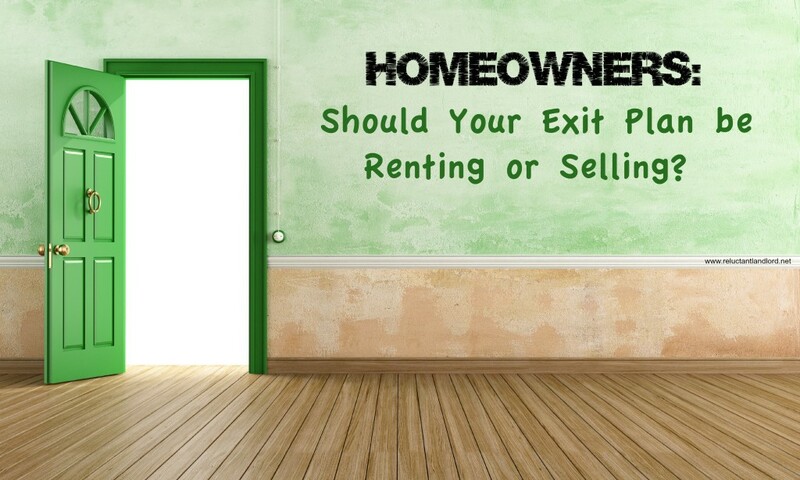 Homeowners: Should Your Exit Plan be Renting or Selling? You are here: Home / Buying or Selling Real Estate / Homeowners: Should Your Exit Plan be Renting or Selling? Buying is NOT for everyone! That being said, I personally think ALL homeowners should have an exit plan and the reason is simple… A house is forever and life is NOT! You can buy your dream home and then life happens. You have to move you for an amazing job opportunity, you have triplets, and it is a 2 bedroom place, etc., etc. The point is you should never go into something that is forever and NOT flexible. You do need to have an exit plan. Homeowners What’s Your Exit Plan? Who REALLY want to pay a mortgage on two homes? Let’s be realistic, no one is interested in that. Not only the financial burden but also the liability. Things break, the house may be vandalized or burglarized, and most insurances charge more for an empty home. So that really leads to the question: Should I RENT or SELL? Before we get started, I am totally biased. I think you can ALWAYS rent your home, but you might not be able to always sell your home without coming out if pocket. This means I only buy a house I can rent even if my “dream” is to sell. If your goal is to sell it means you have either bought a significantly underpriced home or you are betting the market will continue to improve! I say this because you need to incorporate 6% selling costs for hiring an agent. Often times the buyer wants 3-3.5% closing costs to be paid by the seller. At a minimum the the VA loan has 1% that they require the Seller to cover if the buyer is using a VA loan. So for you to be safe you need the house to increase in value by 10% to sell! Now if you buy a fixer upper there is a GREAT chance that you can sell it for a profit but what if the market crashes? Do you have a backup plan? Can you keep that house afloat till you can get out form underneath it? That brings me to my personal exit plan. 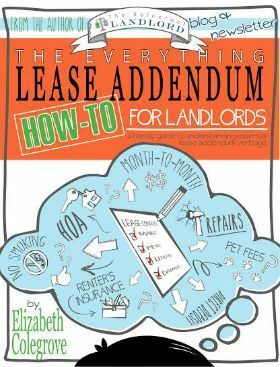 Yes, you are dealing with tenants, their personalities; including their desire to negotiate so it is super important that you have a terrific lease and keep it as a business. That begin said, as a biased investor this is the SAFEST plan! While a few rental markets fell during the recession most didn’t. Instead with so many people unwilling to buy and others losing their house because of foreclosures rentals went an all time high. They didn’t buy a house that could rent for its mortgage. Their only “exit” plan was the assumption that market would continue to climb. Had they only bought a house they could rent when they left, thereby not buying if they couldn’t rent it out when they needed to leave then they would never had bought the home in the first place. Therefore they wouldn’t have had this issue. Here are the 7 building blocks I look into finding a home that will be a great rental when I leave. No matter what you do as homeowners, just make sure you have looked into both exit plans first!